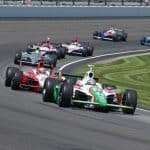 The Greatest Spectacle in Racing — the world’s largest single-day sporting event — takes place in Indiana’s capital city on Memorial Day Weekend each year, so of course that’s the first reason to put Indy on your travel schedule for May. This year’s running of the Indianapolis 500-Mile Race is set for 12:15 p.m. Sunday, May 25. Drivers compete to be among the 33 cars racing for the checkered flag after 200 miles on the 2.5-mile oval track. 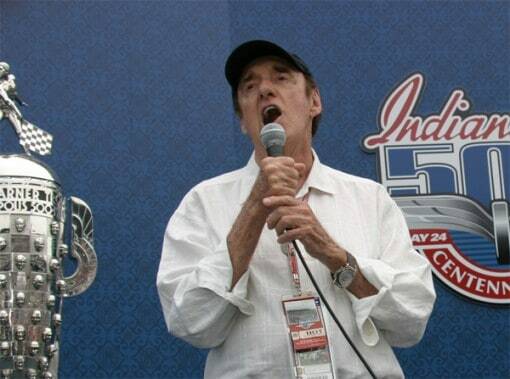 It’ll be the last chance to hear Jim Nabors sing “(Back Home Again in) Indiana”. The actor-entertainer perhaps best known nationally for portraying Gomer Pyle is considered an Indy “500” icon in the Hoosier State. He first performed the Tin Pan Alley classic before the start of the 1972 race, and has always been accompanied by the Purdue University “All American” Marching Band not to mention the thousands of fans singing along. Alas, he’s announced that this will be his last time. There’s more to see than just the 98th running of the “500”. On May 11 through 15, the Indianapolis Motor Speedway hosts five days of open-to-the-public practice plus “Fast Friday” test runs May 16. Qualifying laps are May 17 and 18, with pole position determined the second of those two days. Celebrating the “Merry Month of May” leading up to the fabled race, the Indianapolis “500” Festival (a local non-profit) hosts everything from a Mini-Marathon to a nationally-televised parade. The half-marathon, set for May 3, is sold out (as always), so if you’re in town then, you’ll just have to be a spectator this year. There’s still time to buy tickets for the breakfast at the track May 17 and the “500” Festival Parade May 24. The second reason to visit Indy this May? The Children’s Museum of Indianapolis will host a handful of the 8,000 terra cotta warriors unearthed in Xi’an, China – their only U.S. appearance this year. 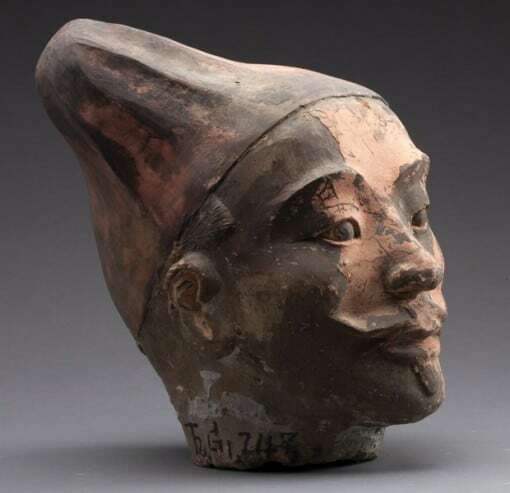 “China’s Terra Cotta Warriors: The Emperor’s Painted Army”– open May 10 through November 2, 2014 – includes something rare: the head of one figure with a significant amount of the original paint still apparent (although faded). In partnership with China’s Shaanxi provincial government, the exhibit will offer an up-close experience with real and rare objects, including the painted head plus eight full-size warriors and more than 100 other artifacts. The exhibit will explore how the lifelike statues were made by the first emperor’s artisans. Interactives will encourage both adults and children to become “part” of the archaeology team and investigate the scientific research currently underway that helps us imagine what made this painted army so vibrant. A companion exhibit at the museum, also opening May 10, is “Take Me There: China”, an immersive experience where you can “fly” over the Great Wall, try your hand at using chopsticks and learn about traditional Chinese medicine. Don’t think that the Children’s Museum is “only” for children. While the little ones will love it, their older companions also will be transfixed (don’t miss the water clock in the lobby – it counts time in drops – or the 43-foot-tall Dale Chihuly glass sculpture in the stairway atrium). Third reason? 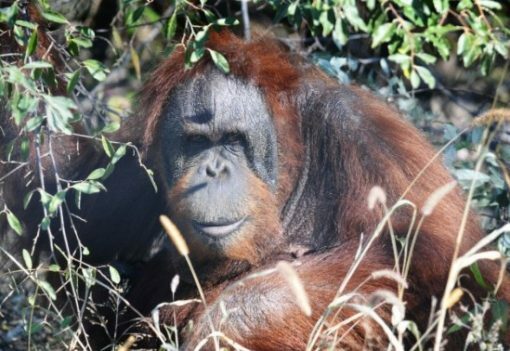 The International Orangutan Center opens at the Indianapolis Zoo May 24. This unique exhibit has been designed specifically to meet the physical, social and intellectual needs of orangutans, a critically-endangered primate native to the tropical regions of Southeast Asia. Home to one of the largest groups of orangutans in any American zoo, the exhibit will serve as an education, research, and conservation center. You can watch the orangutans swing 40 feet above your head and board an aerial cable ride for an orangutan’s eye view of the zoo. The great apes’ intelligence and curiosity shine as they work together with — you! — to solve puzzles at several interactive stations and, using an iPad, change the lights each evening for the beacon atop a 150-foot structure. Fourth? You’ll need to hurry to catch the Robert Indiana exhibit at the Indianapolis Museum of Art. The Hoosier state’s most famous living artist is “back home again” through an exhibition of his original prints. The “Essential Robert Indiana” explores the stories behind many of the artist’s most iconic works, using material drawn from interviews with the artist — one of Pop art’s premier printmakers. Yes, he did the famed “LOVE”, and the IMA owns it both as a painting and as a monumental sculpture. Last day for the exhibition is May 4. If you arrive too late to catch Robert Indiana, the IMA also includes these exhibits in May: “Fabled Kings”, featuring 16 Indian paintings dating from the late 17th to the 18th centuries, and the 82nd annual “Indiana Artists’ Club Annual Exhibition”, the oldest juried artists’ organization in the state. Fifth? While it’s not new (it was finished just about a year ago), the Indianapolis Cultural Trail has a new amenity this spring that provides another way to experience the linear “park”. The eight miles of distinctive paving, artwork and gardens circling downtown and connecting five of the city’s six Cultural Districts have been energized by the recent addition of bike rental stations. Bikeshare has placed 250 distinctive gold bicycles at 25 different stations along or near the trail. You can buy a 24-hour pass at the kiosk, grab your set of wheels and head off to explore. Even if you don’t rent a bicycle, you’ll want to explore some part the Cultural Trail whenever you’re in Indy – perhaps checking out the quirky shops in the Mass Ave Cultural District or the new eateries in Fountain Square. The sixth reason to visit Indy this May is to join in the celebration of the 25th anniversary of the Eiteljorg Museum of American Indians and Western Art. You may not want to dine and dance “Under the Silver Moon” at the museum’s anniversary gala on May 31, but you shouldn’t miss the Ansel Adams Exhibit, open through August 3. It showcases 75 photographs personally chosen by the photographer to represent his life’s work as “The Museum Set”. Number seven: the Broad Ripple Art Fair takes place May 17 and 18 takes place on the grounds of the Indianapolis Art Center and its ArtsPark, and the North Side Optimist Opti-Park in the Broad Ripple Village Cultural Arts District. Some 225 juried artists and craftsmen take part, but you’ll also find hands-on demonstrations in every studio in the Indianapolis Arts Center plus craft beer from Indy’s own Sun King Brewery and food from a variety of local chefs and restaurants. Eight? 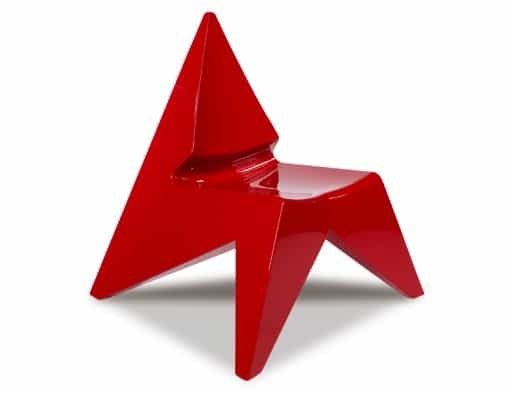 “Fearless Furniture” is an exhibit at the Indiana State Museum showcasing the work of studio furniture makers. 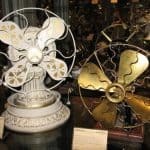 Mostly one-of-a-kind, you’ll find works on display that were conceived, designed and produced by individuals who were born in Indiana; trained at one of Indiana’s well-known furniture design graduate programs, or who have made Indiana their residence. The exhibit closes May 27. Not into furniture? Wander on over to the state museum’s exhibit of Ice Age Giants: The Mystery of Mammoths and Mastodons to check out what’s been hidden underneath Indiana’s soil for thousands of years. Reason number nine is “Picture This” at the Indiana History Center. One of the center’s innovative “you are there” experiences, visitors can get behind the lens in a Victorian portrait studio and learn how the ways we’ve captured memories through pictures has evolved. The Indiana Experience takes the form of a visit to the Charles Miner Studio in 1904, complete with an interpreter portraying the photographer – who will take a vintage-style portrait of you to take home. Other Indiana Experience options are “1913: A City Under Water” and “1939: Healing Bodies, Changing Minds”. 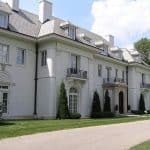 The tenth reason to visit Indy in May gives you a glimpse behind closed doors on the most elegant residential street in town. The Decorators’ Show House, taking place this year at 5235 North Meridian Street, is an annual project sponsored by St. Margaret’s Hospital Guild using local interior designers and landscape architects. Open through May 11, the two-story 1927 home was built for Vern C. Vanderbilt who owned the bakery at a local department store. 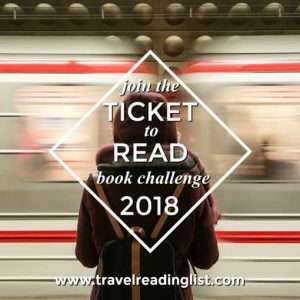 Susan McKee | Susan McKee is an independent scholar and freelance journalist specializing in history, culture and travel.